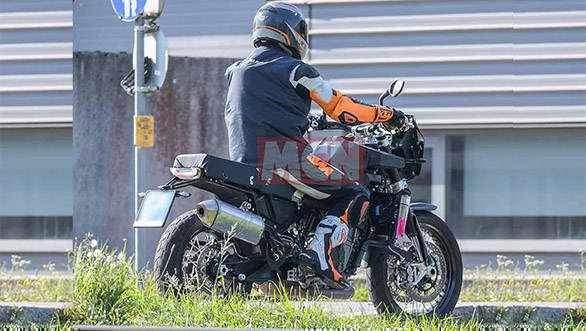 KTM showcased the 790 Adventure at the beginning of this month at the EICMA show and it has got everyone excited. 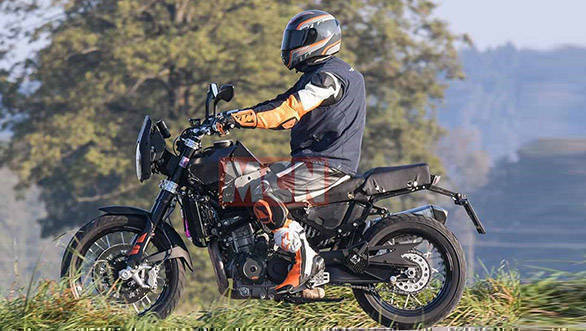 And now Husqvarna has started testing what looks like an ADV offering based on the same KTM 790 Adventure. Going by the model names that Husqvarna has been using, the 790 based adventure motorcycle might be called the 801. 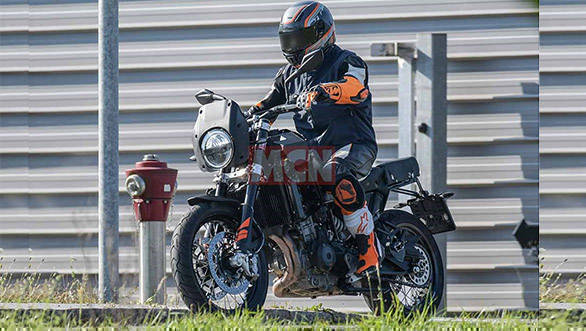 This offering will be powered by the brand new, 799cc, liquid-cooled parallel-twin motor that was launched in the Duke followed by its availability in the 790 Adventure R.
From the looks of it, the 2020 Husqvarna 801 gets an interesting retro styling which makes it distinct than the razor sharp design of the KTM. In the 790 Duke, the 799cc parallel-twin motor develops 105PS at 9,000 rpm and 86Nm at 8,000rpm. Called the LC8c, this is KTM's first parallel-twin motor and has a DOHC head with eight valves, actuated by DLC-coated finger followers. To help keep the vibrations at the minimum, KTM has employed two balancer shafts. We believe the same will be used in the Husqvarna but in a different state of tune and not as aggressive as that in the KTM, to keep the retro vibe. In addition to the shared bits, the 2020 Husqvarna 801 gets a more conventional design as the upswept bolt-on sub frame and the seat has been given a miss. The seat layout, at least on the test bike looks conventional. It get a round LED headlight much like that of the Svartpilen. It also gets a compact fairing around the headlight that has been mounted on the front. The production version might also gets a compact windscreen on top of it. The edgy fuel tank has been replaced by a large design which we believe might offer a longer riding range. As seen from the images, the 2020 Husqvarna 801 comes with the same wheels, brakes and suspensions as seen on the 790 Duke. However, the tyres are different as the tread pattern is different. Husqvarna has not officially disclosed anything on the 801 yet but we believe the company might look at launching it at the end of this year wherein international deliveries can start in the beginning of next year.